Successful business owners and professionals have relied on Gary’s expertise for their financial, estate and business planning for three decades. Gary has earned a Master of Science degree in Financial Services from the American College and holds designations as a Certified Financial Planner (CFP®), Chartered Financial Consultant (ChFC) and Accredited Estate Planner (AEP). Gary has authored numerous articles, taught classes in investing, financial planning and conducted continuing education courses for financial planners, attorneys and accountants. He has been a requested speaker for various accounting, legal and financial services forums. Gary is responsible for the design of strategies for the business, estate and retirement plans of high net worth clients. In addition, Gary’s team manages the suitability elements of their PolicyAudits.com services. Gary is a past President of the Society of Financial Service Professionals, The American Heart Association and The Brady Kohn Foundation. He is also a current member of the Estate Planning Councils of Philadelphia and Southern New Jersey, the Construction Financial Management Association and the Southern New Jersey Development Council. Gary holds licenses as a Registered Securities Principal, Municipal Securities Principal and Financial Operations Principal. Rob Shapiro has over 30 years of financial sector experience-and is proudly a "second generation" insurance and investment management specialist. His father, Joel Shapiro, is still an active agent and registered representative for NYLIFE with nearly 60 years of service. The business of providing savvy financial solutions to address complex problems for individuals, their families and companies is well-ingrained in his DNA. 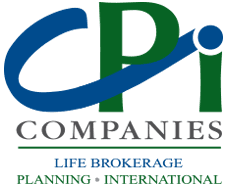 Before joining CPI Companies, Rob worked as an insurance agent and registered representative for NYLIFE, and Managing Director of Bartmon Shapiro & Associates, an independent insurance brokerage entity. Rob is also an accomplished trader, technologist and data analyst, having held senior positions with both brokerage and investment management firms. Most recently Rob was a trading and risk management executive with prestigious firms such as Bloomberg LLP and Morgan Stanley Investment Management. Before pivoting into the insurance and tax optimization investment fields, Rob was an independent consultant, FinTech advisory board member, educator and published author.